Well, the Summer didn’t seem to last very long, and with the sun seemingly having deserted us for the time being, what better excuse is there to book a last minute trip to hunt down the sunshine (and enjoy a glass of wine or two on the way!). For the perfect bargain break in warmer climates, we are offering a summer saving of an astonishing 30% on our Essential Bordeaux package based at the splendid 5* Intercontinental Bordeaux this August. Bright er days in Bordeaux: Save 30% on a 5* break! Enjoy an exceptional level of service and access to the 5* Intercontinental Bordeaux‘s first-rate facilities on this four day break in August! 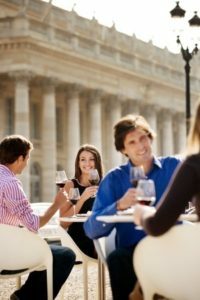 The package includes two full day guided and transported wine tours with visits and tastings in both the Medoc and Saint-Emilion, as well as an introductory tasting session of six Bordeaux wines in a central wine bar. On one evening, delight in a delicious three course gourmet dinner, which will be served in a premium city centre restaurant. Usually priced at £873 per person, we are offering 30% off this summer, valid on travel between 16th July and 31st August, making this trip just £612 per person! 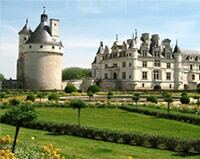 Marvellous Medoc: The perfect trip for wine-loving golfers! 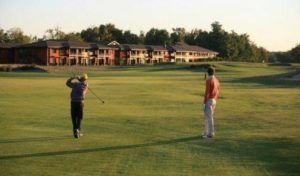 Situated at the 4* Golf du Medoc, in the heart of the Medoc vineyards, this three or four day break gives you the chance to enjoy golf on the hotel’s competition-level 18-hole courses, as well as exploring the Chateaux of Bordeaux. This is a fabulous trip to take with friends, promoting healthy competition on the golf course, then unwinding with excellent quality wines! We encourage relaxation, with the opportunity to recharge your batteries in the hotel’s spa, and to top off your experience, we include a Michelin starred lunch at Chateau Cordeillan-Bages! Starting at just £415 per person for the three day break (based on four people travelling), this could be the ideal chance to embrace two of your favourite pastimes at once. As always, if you have any queries about our breaks, we would love to hear from you! Please call us on +44(0) 1920 46 86 66 or email info@grapeescapes.net for more information or to book.